So, the topic is "extensible APIs" and i think it should be a part of "System Design" CS course. Being self-taught programmer, I never took such course - may be it's a good time to finally pass some MOOC on it. I also seen "Microservices" book on Amazon - probably it's just about it. A few months ago, I published design of CELS - my third API solving this exact problem. Now it's time to describe WHY i made what i made. So, let's start from beginning. When you develop usual library API, the main goal is to make it convenient to use. When you add new features, you just add more parameters to functions. Refactoring all existing calls to the new API is just a matter of few clicks in modern IDE. OTOH, when you make extensible API, your main concern is compatibility - new clients with old servers, old clients with new servers, and generally - client having X,Y,Z extensions with server having X,Z,T extensions. The classic way to do it is to use optional named parameters, available in some languages, i.e. function compress(inbuf=...) can be extended to support compress(read_func=...) where the compress() function checks which named parameters it got and processes appropriately. Later, support for compress(infile=...) may be added. This allows to combine any server with any client as far as client is able to fallback to older APIs. The only problem is that DLLs provide only C ABI which doesn't support named arguments. Again, we have developed generic solutions to this problem - packaging data with XML, JSON and later - libraries such as Thrift and Protobuf with extensions similar to calling functions with named arguments. But these libraries are pretty large, so I developed my own micro-library TABI, that allows to call functions like f(TABI("inbuf",buf)("insize",size)) and check in f which parameters/types we received. The second version of my CLS design employed TABI to make all APIs extensible. Indeed, TABI is the best way to fit these goals SIMULTANEOUSLY. But do we really need that? Users rarely program in plain C, so the main goal of C API is to lay out foundation for other bindings - C++, Python... But we can do the same with C API - let's DLL export ugly but extensible API, and then library build convenient API on top of it! When we need to upgrade fancy API, we just declare next, incompatible version and provide it to new clients (via #if, namespaces or multiple header files) as well as continue to provide old convenient API to old clients. But both fancy APIs will work on top of the same low-level DLL API, just requesting different set of features from the library. 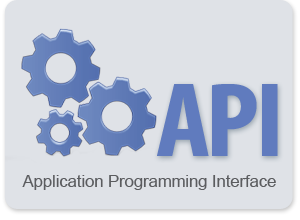 You just need to develop once the flexible API that can be used to provide any functionality in modular way (i.e. each server can support its own set of extensions and client can use any set of extensions as far as it can fallback to use less extensions). And then provide any number of fancy APIs you wish. Or allow 3rd-parties to provide better APIs than your one (f.e. they may provide named parameter API using TABI/Thrift). Hope now it makes sense. Don't try to make your API convenient, only extensible. Now, when we halved our designed requirements, fitting them would be much easier. 2) modular - each PARAMETER_ID is set independent of other ones, so we can combine servers with X,Y,Z extensions and clients with X,Z,T ones. We also need to establish some rules for mandatory/optional parameters and so on, but basically we just done that - developed extensible API that can survive next 30 years. Yes, it's ugly for direct usage by application C developers, but its simplicity and uniformity can make bindings to other languages even simpler than the existing zstd API. F.e. Python universal compress() operation with keyword arguments just needs a few codepaths to pass various parameter types plus parameter name->id translation dictionary. Last code should be a bit faster, but this API is harder to use in dynamic languages and it will make entire API less uniform, i.e. with the first API Python binding just need to implement 4 standard set* functions and then set_dict can be implemented in high-level fashion without going into low-level details. The last part of CELS is controversial - I don't advocate for going the same way in zstd, just will describe what and why was done in CELS. Overall, for 99% of possible operations 8 int/ptr parameters should be enough to pass all data. A few remaining cases can be fulfilled by requesting extra parameters via callback. The callback also allows to request back any services from client - reading input data, displaying progress indicator and so on. Note however that I was operated with compressor_instance concept, so I added the callback to request any extra parameters that operation may require. OTOH, you are operating with operation_context concept, so you can just set up any extra parameters prior to calling operation - the idea that I haven't found. In the current CELS version, each DLL exports only one "wide" function that implements entire functionality provided by the library - create contexts, set up parameters and perform any operations. This reduces low-level/unportable code, simplifies metaprogramming, and simplifies dealing with multiple compression methods. These points are less important for you, though. you've got some very good material here, they would make an excellent blog entry should you ever consider to blog about it. I also did not realized the amount of work already invested into CELS, which is impressive. It seems we share many conclusions, though your topic is obviously much more general, having to consider many classes of codecs from a single interface. Thinking about it for a few minutes, my pretty naive conclusion is that as a developer I prefer the 'one method per parameter' approach. It is type safe (allowing the compiler to detect when I screw up) and more discoverable in an IDE with autocomplete. I will argue that the fact that an old version will cause a linker error is a feature, not a bug: The dependencies of the program have not been met correctly, so the program will not work. I guess that many API users will not handle the error code from the generic API correctly, causing silent failures. And even if they do, in many cases the program will not be able to do much other than saying 'sorry this program cannot work', so I would argue to just let the linker handle that as it is known to be reliable. As time goes, we add optional parameters to the compress() function. What should be an API to avoid exponential growth of compress() variants with different parameters present? - how to support new clients calling into old library? - how clients using features X,Y,Z can use library implementing features X,Z,T? Moreover, the library may be static or dynamic. Then, Cyan requested maximum type safeness, and you requested, essentially, link-time checks of requested features support. All these extra questions, though, doesn't change the situation itself - we have compress() function with some optional parameters and need a way to implement that in C API. The first method to implement that is to provide compress() function with parameters for each optional feature. Unused features in each call can be designated by special null values or by extra bitfield parameter specifying which parameters are active. Library provides all functions from compress1 to current compressN, allowing older clients to link in. With dynamic linking, advanced clients can check which is latest compressN function is available and avoid using unavailable features. It's impossible for static linking, though. Independent implementations providing their own extensions may export their own compressMineN functions and advanced clients can then try all compress* functions they know. Link-time check of used function availability will be automatic, as well as type checking. For practical use, these generic functions will be called via thin wrappers substituting nulls for unused parameters. The next approach is to provide some "operation context" object, that can be modified incrementally. This object may be glued together with "compression settings" object or can be made separate. Optional parameters are implemented as operations modifying this context. They can use a few generic functions (setInt, setPtr...) or individual function for each parameter (setDictSize, setHashSize...). Individual functions are better type-checked and link-checked. Generic functions may be useful for advanced clients that able to avoid using unsupported features, or employ some metaprogramming (such as logging or serialization). Also, generic functions will allow bindings to other languages to automatically support new features (user just need to find IDs of new parameters). It's easy, though, to support both generic and individual APIs. There are other approaches which I mentioned in the initial post, in particular using TABI, but they look inferior to these two ones. and better flexibility when using an enum-based parameter policy. And now is the right time to select the better one. I don't think it's a good idea to support both (except maybe for a limited experimentation period). To ensure long-term maintenance, it will have to coalesce onto one implementation. aka, having the generic prototype version invoke the specific one.